Namely, members of industry praised the funding flexibility that the bill provides through both agency-based working capital funds and a governmentwide Technology Modernization Fund administered by the General Services Administration. “Unisys strongly supports enactment of the MGT Act, because it provides needed flexibility and funding resources to enable the Federal government to modernize its legacy IT systems and leverage governmentwide resources to gain efficiencies,” said Unisys Federal President Venkatapathi “PV” Puvvada. Though Hurd told MeriTalk in an interview on Friday that the “meat” of the bill is in the agency-based working capital funds, industry comments called both funds critical to improving Federal IT. “The upfront infusion of funding from the Technology Modernization Fund, combined with the agency working capital funds which will grow as agencies save money on their IT investments, are critical to the government getting the biggest bang for its IT buck,” said Landwehr. Compuware CEO Christopher O’Malley praised the fact that the bill deviated from traditional rip-and-replace modernization mentalities and instead gave agencies the flexibility to work in the way that best applies to them. Though a Federal CIO has yet to be named, Hurd told MeriTalk that he worked with the White House’s Office of American Innovation to refine the bill and discuss modernization priorities. Hurd also worked with the Office of Management and Budget to lower the estimated cost of the bill and with Sens. Jerry Moran, R-Kan., and Tom Udall, D-N.M., to craft a Senate companion bill. 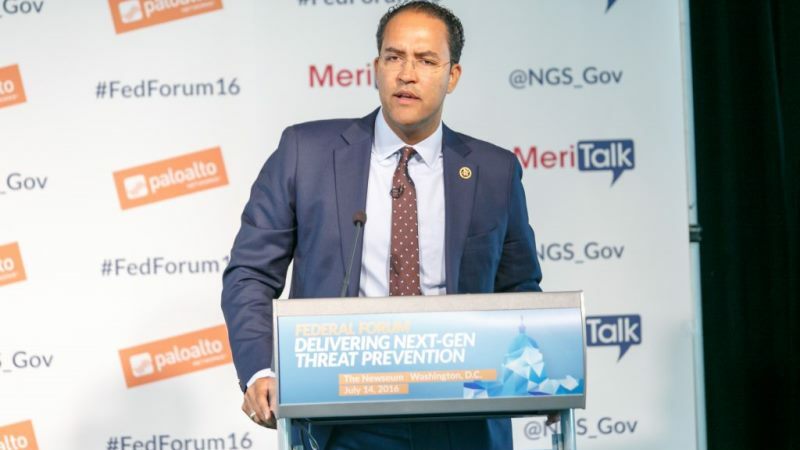 “Congressman Hurd deserves credit for his continued push to get this bill done in the new Congress and working with stakeholders to lower the cost of the bill while requiring modernization of legacy IT systems across the Federal enterprise,” said Landwehr. “Level 3 Communications applauds Representatives Hurd, (Robin) Kelly and Connolly, and Senators Moran and Udall, for championing Federal IT reform and their commitment to maximizing the value of taxpayer dollars by transforming how the government invests in technology. Level 3 stands ready to continue our collaboration with Federal agencies to transform their networks to improve efficiency, reduce costs, and maximize security,” a Level 3 representative told MeriTalk. A press release issued by Hurd’s office also included support from Dell EMC Federal, The Professional Services Council, and the IT Alliance for Public Sector. MGT will go to the House Oversight and Government Reform Committee for markup on Tuesday morning, and House Majority Leader Kevin McCarthy, R-Calif., said that he plans to move the bill to floor consideration as soon as it passes the committee.